If you are interested in growing your own plants in your house, you should use hydroponics. It’s a method of growing wide range of plants without using soil. 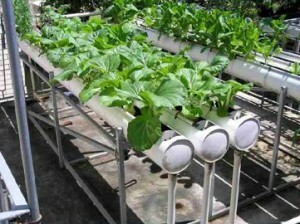 Hydroponics is a highly productive system that helps in conserving land and water, and also protects our environment. It requires only basic gardening skills and is highly convenient for you, especially if you don’t have a large backyard space available in your house, or you live in an apartment. Starting your hydroponics system is not that difficult or expensive. You’ve to just learn the basics-what all things you need, where to look for them and gather all essentials. What is more important for you is to decide on the type of hydroponics system you would like to use and install, starter cubes, an efficient lighting system, best hydroponics nutrients for plants, and high quality seeds. Let’s have a close look at the vital information on growing your own plants at home. First, you should decide what you want to plant. Seeds are easily available in many stores, grow shops or online stores. You can also have them in some grocery stores in convenient plastic packages. You can buy grow kits that also come with seed that you can plant in the system and detailed manual with step-wise instructions. You an also do research on the type of plants that can you want to grow and the ones that grow faster in hydroponics system. Lettuce and tomatoes are favorites. Some fastest growing plants in hydroponics system are: Swiss chard, spinach, mint, spinach, turnips, spearmint and many vegetables. Another important thing you should know is about starter cubes. They are made using inert material that only provides support to the plants and its roots. The material retains water but won’t supply any nutrients. All nutrients are supplied through water. All hydroponics plants need nutrients that is actually a mix of vital chemical elements that are introduced through water into the system. This is a mixture of important nutrients (macronutrients and micronutrients) that are required by plants for optimal growth. Important macronutrients include hydrogen, carbon, oxygen, phosphorus, potassium, magnesium and sulfur. Micronutrients include copper, iron, nickel, zinc, molybdenum, manganese, chlorine and boron. These solutions may come in varying strengths depending upon the types of plants you want to grow and stage of growth they are in. Most of the nutrient solutions are available in mixing parts and have a specific formula. They also come with detailed instruction for use in different stages of plant growth. Hydroponics plants also need proper lighting for growth. This lighting should be similar to the natural light in which plants usually grow. Basically, three types of lights are used in hydroponics systems: fluorescent, incandescent and high intensity discharge lights. Many gardeners prefer fluorescent lights because they are affordable and last for a very long time. If plants need less light and heat for growth, you can use incandescent light as they emit low heat that is best for such plants. This entry was posted in Home improvement and tagged hydroponics systems, what is hydroponics systems, where to find hydroponics systems on June 14, 2013 by Yami.